Another version of Tomato Rice but more simpler. No added tweaks. 1 1/2 cup rice = 1 cup water cos tomato has natural water in it that will ooze out later on and basmathi rice need more water. U can follow this ratio tips if you're adding more than 1 Med tomato. As mentioned, the med tomato has juice in it so the amount of tbsp is est. for it so that the rice don't become too soggy after it's cooked and mixed together. Just put everything into the rice cooker and cook. Once done just mix it up and then serve. 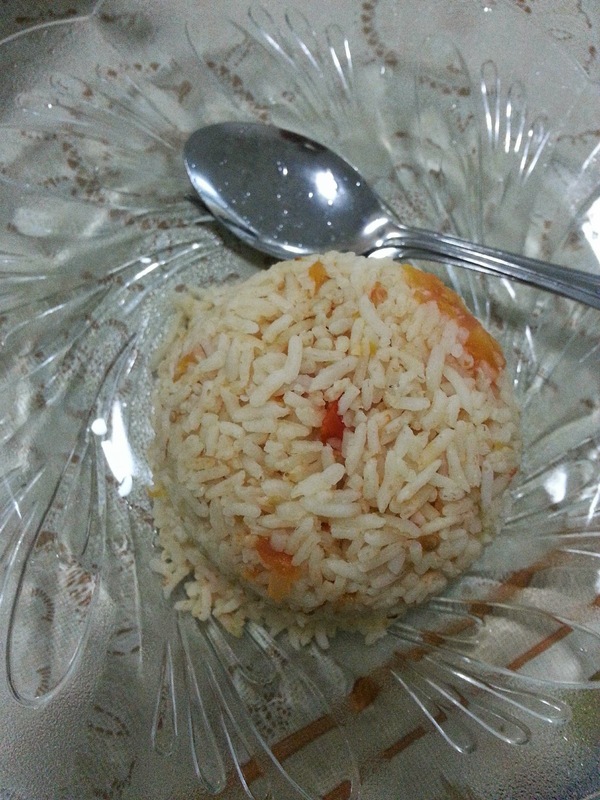 Just tomato and rice combination, the taste is great to go with any other dishes to your liking. You can also view my previous post on the same version with a twist. I added more ingredients to this recipe at my first attempt at this dish. 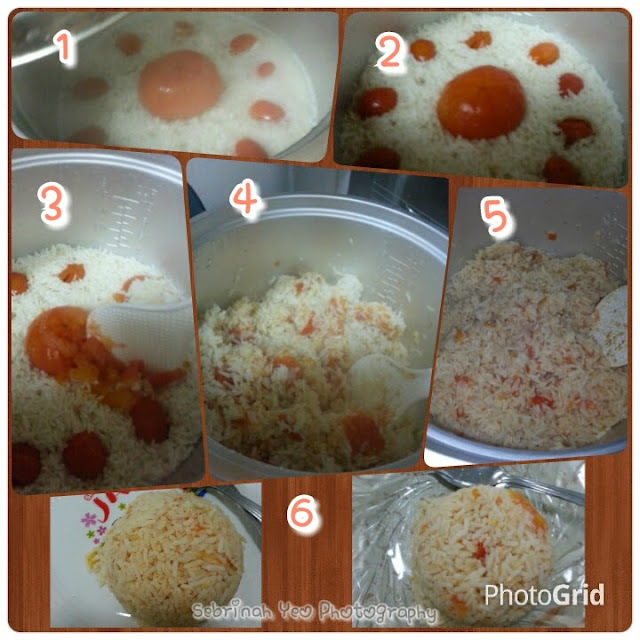 "Sebrinah's Tomato Rice Recipe"